Most current Pez dispensers have what are known as “feet” at the bottom of the dispenser stem. These serve a useful purpose when displaying your collection, since they help the dispenser to stand up straight. Some current Pez, like the Valentine Pez and the regular remakes, have a flat bottom stem (no-feet) similar to the older and vintage Pez. Both these and the vintage Pez dispensers need “shoes” to help them stand up without falling over easily. There are several reliable sources (see Table 1) for these “shoes” which are actually remakes and copies of what were originally designed as one of the accessories for the vintage and rare Make-a-Face dispenser (Figure 1). The “shoes” simply slide on to the bottom of any footless Pez dispenser stem providing additional support. However, for the current no-feet dispensers, which are a little bigger in depth than vintage Pez due to the larger front and rear stem spine/ridges, the “shoes” need to be altered. The back walls of the ‘shoes” can be carefully carved/cut, using an Exacto knife, to make a custom fit for any current no-feet dispenser (see this website for nifty detailed instructions: http://www.pezlist.com/luvpez/shoes.html). Some vendors now also sell “shoes” that will fit the new footless Pez dispensers. What is most frustrating when setting up or rearranging your Pez display, however, is the “domino effect” that can occur. As soon as one Pez is inadvertently tipped or knocked over all the other Pez next to it also fall in line. In order to eliminate this unwanted effect, many collectors choose to either purchase or make their own display racks and/or stands. There are several websites which offer such display items for sale (see Table 1). These are available also as entire display shelving units which can be mounted on a wall or left free standing. Whether you build your own display system or purchase one, your imagination will help guide you in arranging your Pez collection in both an interesting and attractive manner. Most collectors like to display their Pez by arranging them according to the series they are part of, for example all Disney related Pez, or all Holiday Pez, etc. Collectors that enjoy Pez variations often have very colorful displays featuring all the possible varieties of a single Pez character or design. This is where your sense of color will really come in handy. Whatever your Pez display design choice is, as a word of caution an important factor to consider when deciding where to set it up is whether there may be any possibility of damage from sunlight. Unfortunately, although collections can look very attractive next to a bright window, direct sunlight can be very damaging to a collection. The plastic used in making Pez dispensers is sensitive to both light and extreme heat. 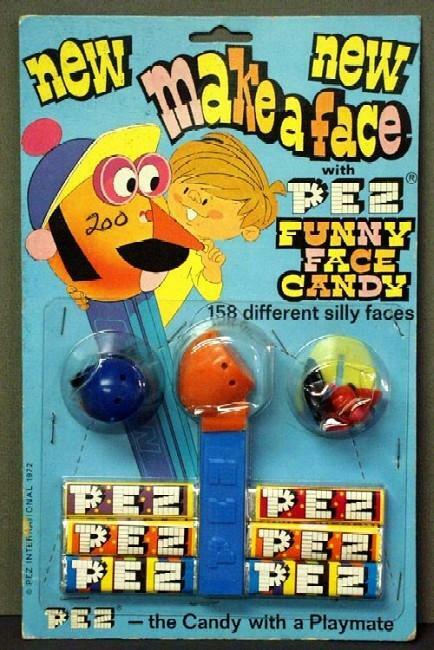 Over time this can cause fading and/or discoloration for many Pez, as well as actual physical damage. Part of the enjoyment of collecting is to display, so get those Pez out of the closets and drawers and let others see the beauty of your collection.